Is there a better alternative to Quadro? Is Quadro really the best app in Puzzle category? Will Quadro work good on macOS 10.13.4? Quadro is a simple yet addictive puzzle game in which you must match cubes that have the same color and number in order to produce a block with a higher number. 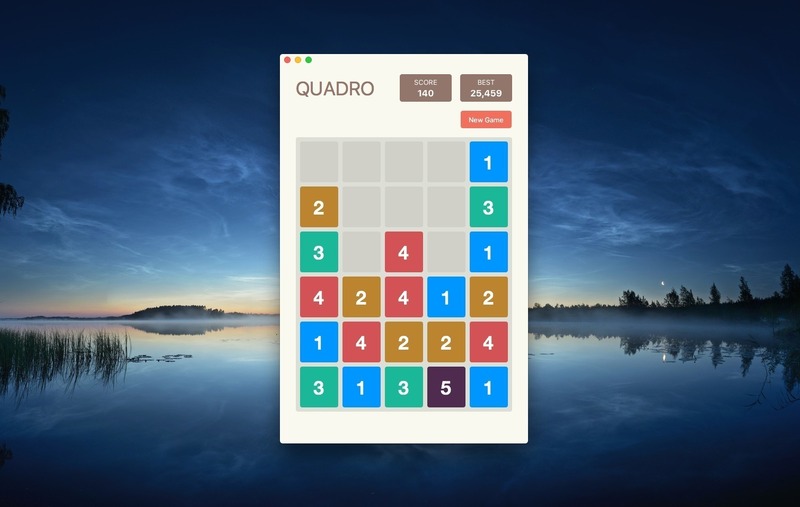 Quadro is a fun match-three game that features very simple gameplay: you must move cubes of different colors and numbers around and merge them together to create a single tile that has a higher value. Quadro needs a review. Be the first to review this app and get the discussion started! Quadro needs a rating. Be the first to rate this app and get the discussion started!